The novel opens with Amy, who’s pondering the terrifying duty she has with a loaded shotgun. Shortly after, Amy’s whole family is murdered except for her daughter Lou. The crime scene is investigated by Jason, who along with his wife Margot and her sister Piper, were Amy’s best friends as children. The present storyline is interspersed with flashbacks of Amy’s mother Rose and aunt Sylvie in the 1950s and Amy’s early adolescence in the 1980s, all of which slowly illuminate the curse on Amy’s family and a terrible secret room. I have to admit that I started the book in less than pleasant circumstances: I was in a waiting room at the hospital. My husband, who recently had a gastric bypass, was bleeding and his doctor’s office advised him to go to the ER. I had time to kill while waiting for the results of multiple tests. The book caught my attention immediately, and not just because I wanted to take my mind off my worries. After the doctor came and got me, and after she reassured us that the tests showed nothing to be concerned about, I went back to the book. (Hey, he was on his phone the whole time.) I finished the 300-plus pages in 24 hours. And I still can’t shut up about it. To start with, the narrative is addictive. The mystery of Amy’s family is unraveled tantalizingly slowly; one wants to hurry up and find out what their deal is, but the story is fascinating. The characters aren’t all morally upstanding, but they’re all interesting and easy to empathize with. 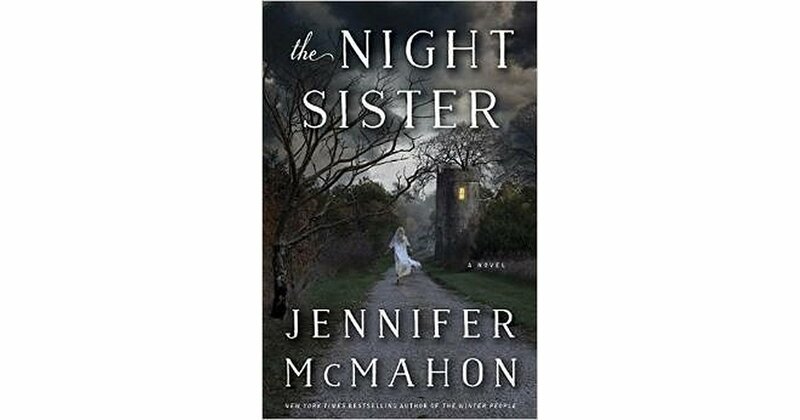 McMahon’s prose is technically proficient and her characters feel like real people. The scenes from 1989 particularly resonate with me, as an ’80s baby. The book has its creepy moments, even from the beginning: “Amy’s heart hammers, and her skin is slick with sweat. Focus, she tells herself. Don’t think about the thing in the tower. Amy knows that if she thinks too hard about it she won’t be able to do what needs to be done […] She bites her lip and wonders what people will say about her once she’s gone […] What kind of monster was she? they might ask after a few glasses of wine, as they sit in tidy living rooms, gathered for book club. But these people know nothing of true monsters. They will never have to make the choices Amy has made.” The tension builds throughout the book, until the nerve-wrenching finale. Wondering about the LGBT aspect? McMahon herself is gay, and Piper is unsure of her sexuality. She shares a kiss with Amy when they’re twelve, and Amy tells her that she kisses better than Jason. Piper goes on to measure every subsequent partner (men and women) against her unrequited love for Amy. Overall, I have zero gripes, aside that it ended. Give it a look if you’re in the mood for something original and compelling. This is very inviting. I need to check it out on Amazon. Thank you for this.